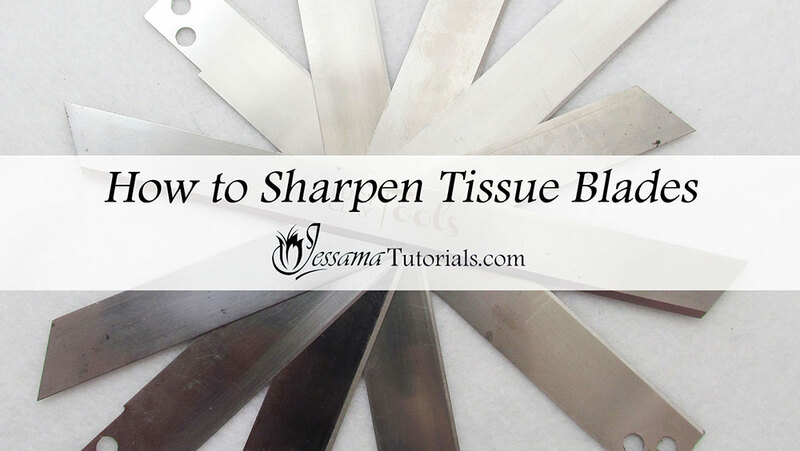 In this polymer clay tutorial I'll show you a few different ways to sharpen your polymer clay tissue blades. It's important to keep them nice and sharp to achieve the best results in your work, but after you’ve used them for a while, you’ll find that they’ll start to dull and not work very well. Don’t throw them away. All they need is to be sharpened. It’s also important to keep your blades clean when using them. It reduces residue and will make the cuts crisper. I’ll also show this in the tutorial. 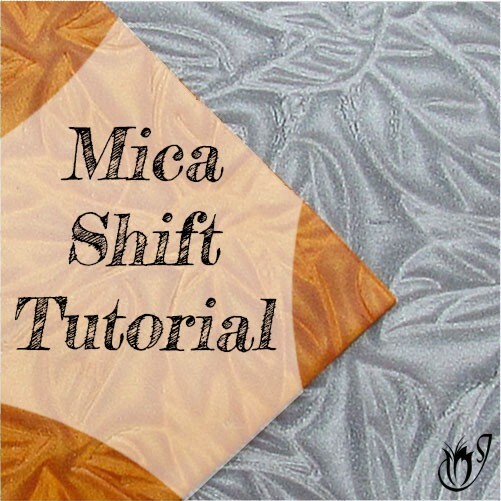 In this polymer clay tutorial I will be showing you three different ways to sharpen your blades. The first and safest method is to use a nail file. This is the method I most recommend. It works well and your fingers are well away from the blade while you are sharpening. The second method is to use the rough bottom of a ceramic cup or dish. This method is also safe enough, but it is slow and does not yield such good results as the nail file, in my experience. The third method is to use a sandpaper sandwich to rub up and down the blade. This method is effective, but I don't recommend it. If you aren't very careful you can easily cut yourself using this method, and really the nail file is much safer and works just as well. Once you’ve sharpened your blades you need to clean them. Use a spray of 99% alcohol on the blade to get rid of residue and other nasty things. Wipe away the alcohol and spray with water. Wipe again. You can also use this cleaning method to keep your blades clean while you work which will result in cleaner cuts and better results. 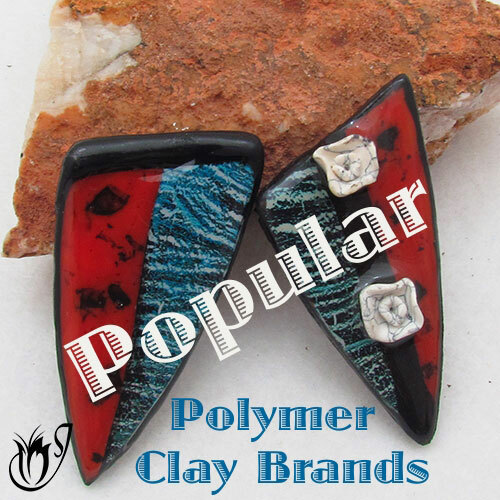 Sharpening and cleaning your polymer clay blades keeps them in tip top condition and makes tham last longer, so it's well worthwhile doing every now and then. If you still have questions, or you have any other suggestions, please leave a comment below. 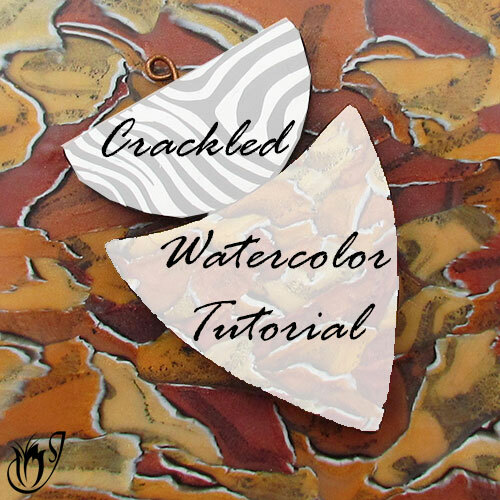 You can like my Facebook page to stay up to date with more polymer clay tutorials like this one as they are released. In this polymer clay tutorial, I'll be showing you how to make Faux Coral and Faux Lava from polymer clay. 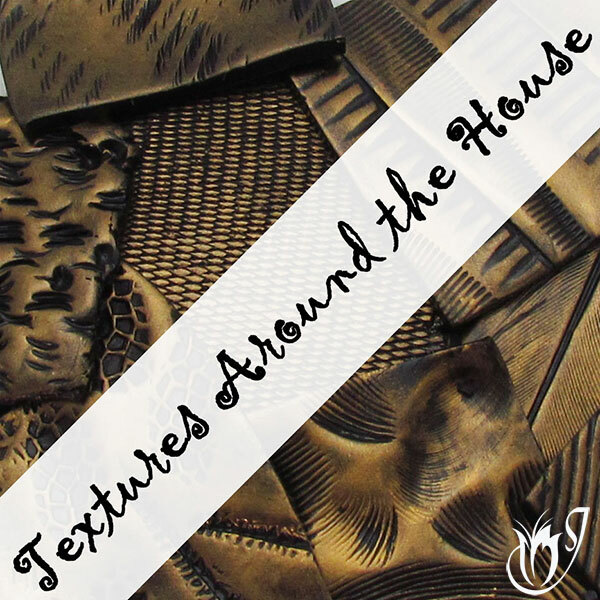 These are two of the simplest faux techniques, but the results are realistic and beautiful. What brand of clay did you use? Sculpey III What colors did you use? If you mixed them yourself you can include a color recipe here if you like. What brand of clay did you use? Kato and Premo. What colors did you use? If you mixed them yourself you can include a color recipe here if you like.